February 28th 2019. 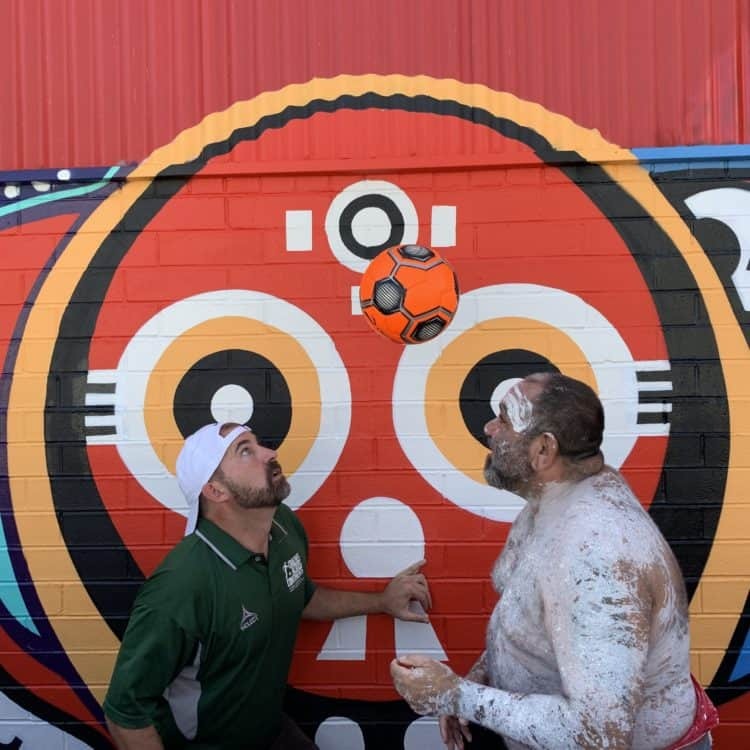 We are delighted to announce our collaboration with ESPN/Disney, and other incredible partners in Sydney, Australia as part of their global Built to Play project. 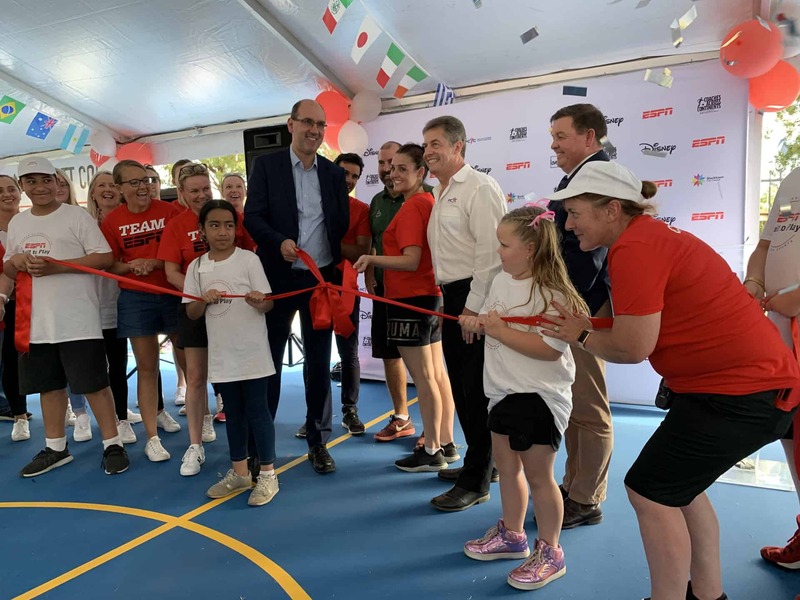 Today, Coaches Across Continents were delighted to be present at the official opening of a new, multifunctional sports space in Mount Druitt, Sydney, Australia. The first of its kind that ESPN/Disney has done in Sydney and the eighth Built to Play project globally. The space, built by community volunteers and ESPN and Disney employees, is designed to provide a safe place to play for the surrounding community, as well as offer ongoing programming using the power of sports to educate young people on key local issues. The event included music, special cultural performances, and a ribbon cutting ceremony, followed by a showcase of the programming that will occur onsite. The project is led by ESPN and The Walt Disney Company, in collaboration with Education Outside the Classroom organizations, love.futbol, Coaches Across Continents and PCYC Mt Druitt. As well as showcasing CAC’s work during the inauguration, our Chief Executive Brian Suskiewicz will be running a Purposeful Play training program for PCYC coaches, teachers and community leaders over the next 3 days on the new pitches. We will then work closely with the PCYC to implement programming around key social topics identified by them over the next 10 months. Topics include community re-integration, gender equality, conflict prevention, health and substance abuse. The project will also include opportunities for ESPN employees in Sydney to engage with the PCYC, CAC and the community initiative throughout 2019. August 21st, 2018. 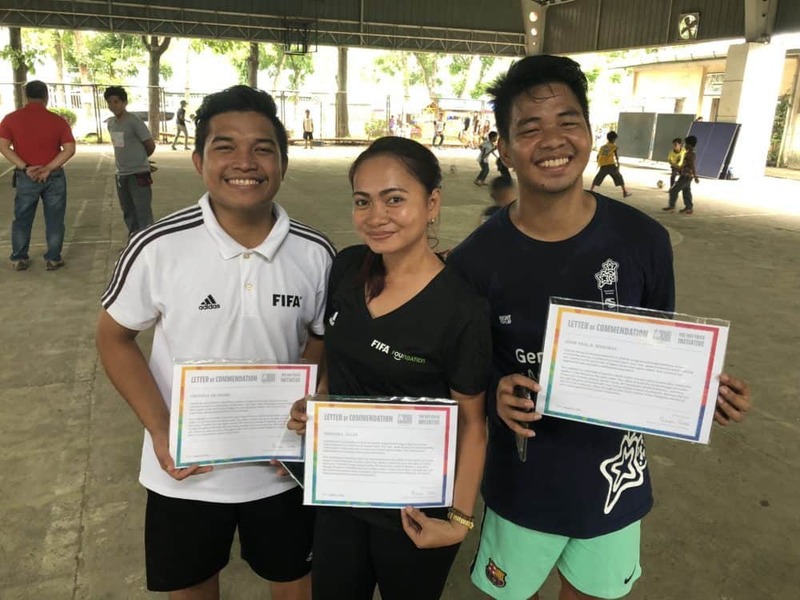 Community Impact Coach, Robelyn Villas, writes about the experience of working with Coaches Across Continents On-Field in the Philippines with CAC Community Partner, Gawad Kalinga, after the already exciting adventure of the FIFA Football for Hope Festival in Russia this Summer of 2018 in partnership with the World Cup! To have another journey after becoming part of the Philippine delegation for Russia (FIFA Football For Hope Festival) was unanticipated until Coaches Across Continents selected me to be part of their training seminar, both as a participant and a facilitator. It was on July 28 when my colleague Coach John Paul and I, Coach Robelyn Villas, joined CAC Coaches Charlie and volunteer coach, Patty, in Giussepe F.C. 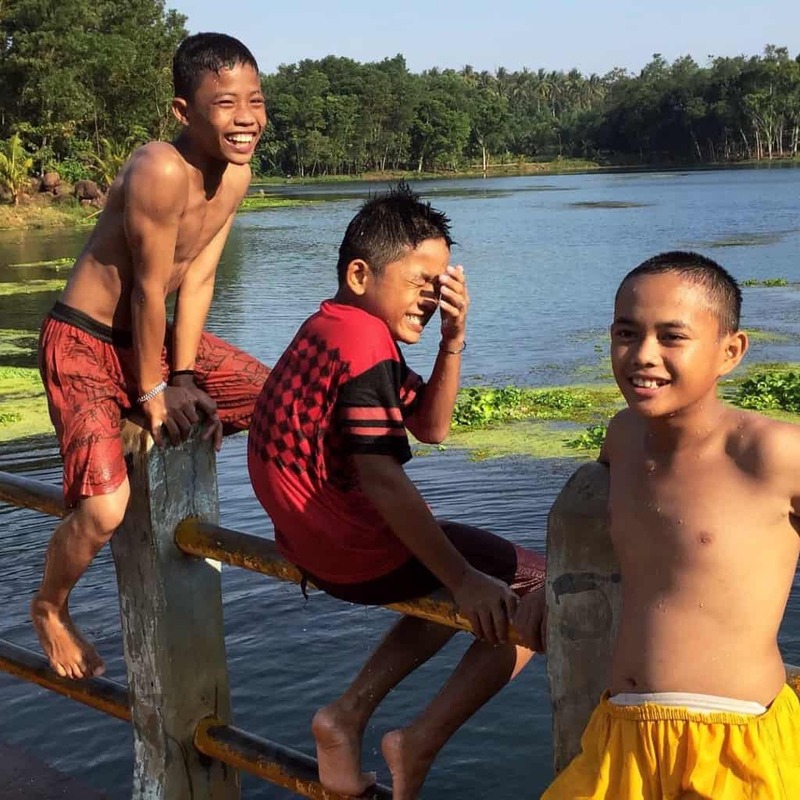 – Campo, Cebu to be one of their participants. 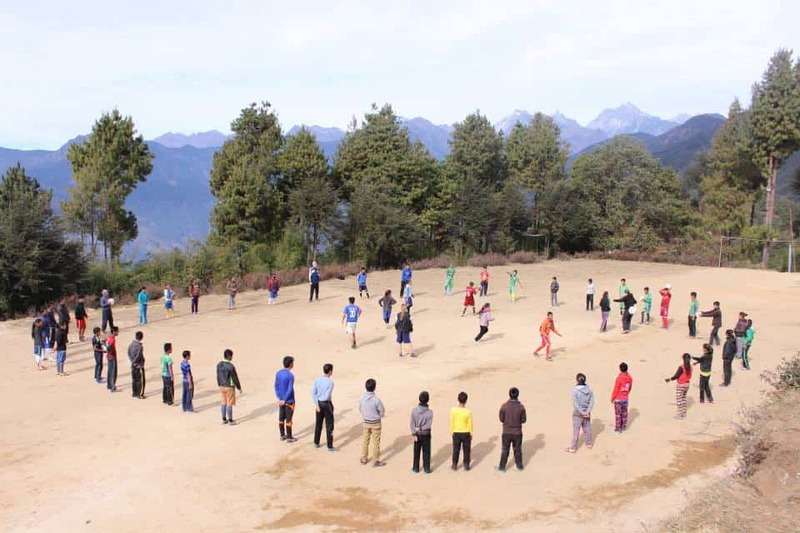 It was a two-day affair and we immediately jumped into their football drills and sessions. Among the sessions that we participated in were the Children’s Packet drill which promotes intercultural cooperation. The drills in Cebu that I participated in were also a chance for us to share and learn in teaching football as a social development platform, also as a tool to engage individuals in social issues arising from their localities and help them understand how to approach those issues. After the weekend seminar in Cebu City (July 28-29), we headed to Sagay City in Negros Occidental to join Coach Charlie and CAC as team-members in their 5-day seminar titled: “COACHES ACROSS CONTINENTS – Global Leaders in Sports for Social Impact.” For almost a week (July 30-August 3), JP and I, led activities for the participants who were teachers, government employees and humanitarian volunteers from Gawad Kalinga’s SipaG Football Club. The activity that captivated me the most was a HIV and Sexual Health drill. The aim is to spread sexual health awareness among the participants since the growth rate in the Philippines for HIV is very alarming. The continuous widespread of HIV in our country should be taken seriously. 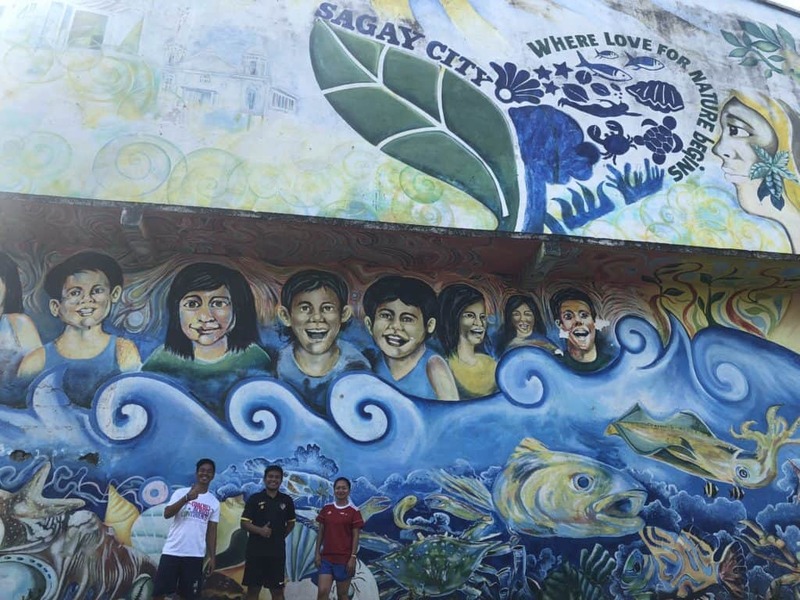 It’s not just the drills and activities that inspired me so much during the CAC seminar, but also the wonderful city of Sagay, Negros Occidental wherein CAC held it’s event. The calm and pleasant ambience of the city is relaxing and so comfortable that it made you want to live there. Besides experiencing the tranquil ambience in Sagay, we were also able to witness one AFC (Asian Football Confederation) match in Bacolod City. The match was between top football clubs from their respective leagues, Ceres-Negros FC of the Philippines and Home United of Singapore. It was great to witness this kind of match among the top clubs in Southeast Asia, especially seeing it personally. The match ended with a draw (1-1). Overall, Coaches Across Continents helped me enhance my skills as a coach and I was able to have a fantastic opportunity to participate and facilitate drills that tackle social awareness and development. The 7 day seminar also guided me to become a more responsible coach and mentor. Teaching football shouldn’t only be about kicking the ball, but also instilling social responsibilities for us to be the catalyst of positive social change through Education Outside the Classroom. June 21st 2017. Thanks to Beyond Sport for the following press release. 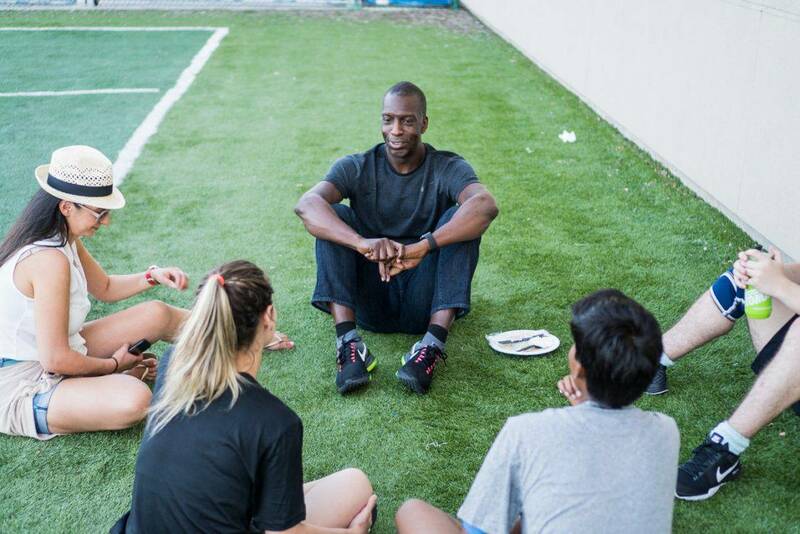 Olympic legend Michael Johnson brings young leaders from 10 different countries together for a week-long summit at his cutting-edge performance center in Texas, furthering his support of young people working, leading and improving their community through sport around the world through the Michael Johnson Foundation. Now in the second year of the program, the Michael Johnson Young Leaders – all of whom have overcome adversity in their lives in some way – are given the confidence, skills and resources to use sport to make a positive impact on their future. The program focuses on world class sports training, leadership development and community engagement. Following the success of the inaugural program in 2016, the newest cohort of Young Leaders will travel to the Michael Johnson Performance Center, Dallas, from all over the world – Jamaica, Australia, Zambia, USA, UK, India, Philippines, Lebanon, Singapore and South Africa. 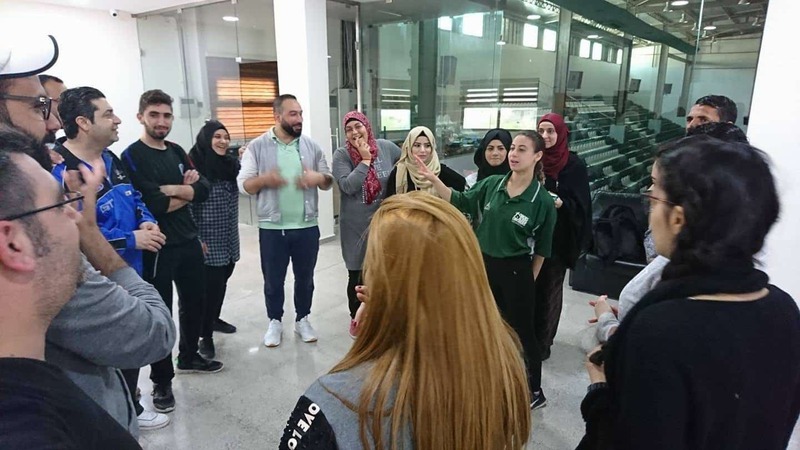 The first phase of the program will involve the Young Leaders going through an intensive one week course of activities focusing on leadership development, community engagement and sports coaching and performance. They will be supported by a team of experts from around the world who specialize in sport for development, community coaching and youth leadership. This includes support from the Michael Johnson Performance team of cutting edge performance coaches, nutrition educators and sports administrators. 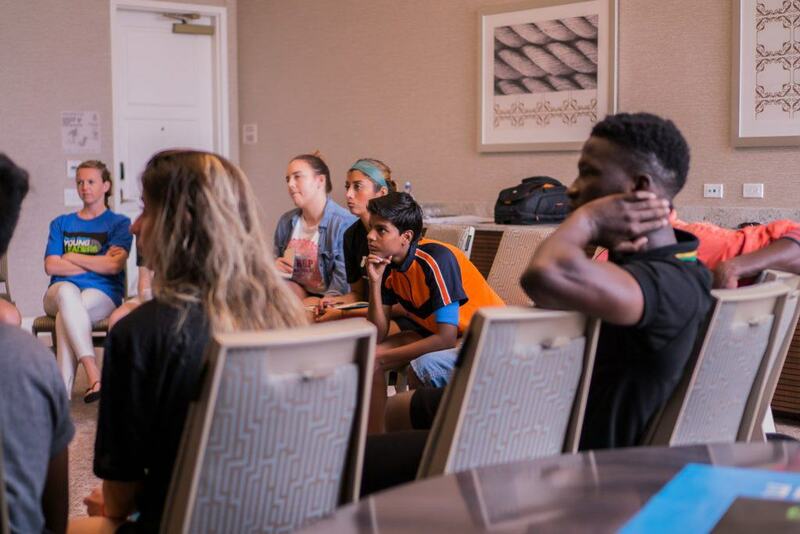 Following the course in Dallas, the Young Leaders will go through a personalized twelve-month plan to support a key project they have developed that will use sport to engage and improve their community, as well as their own personal development. This support includes state-of-the-art virtual sports coaching sessions designed by Michael Johnson Performance Center, ongoing mentoring to continue their leadership development, and tangible support for their own goals and projects aimed at using sport to help their community. 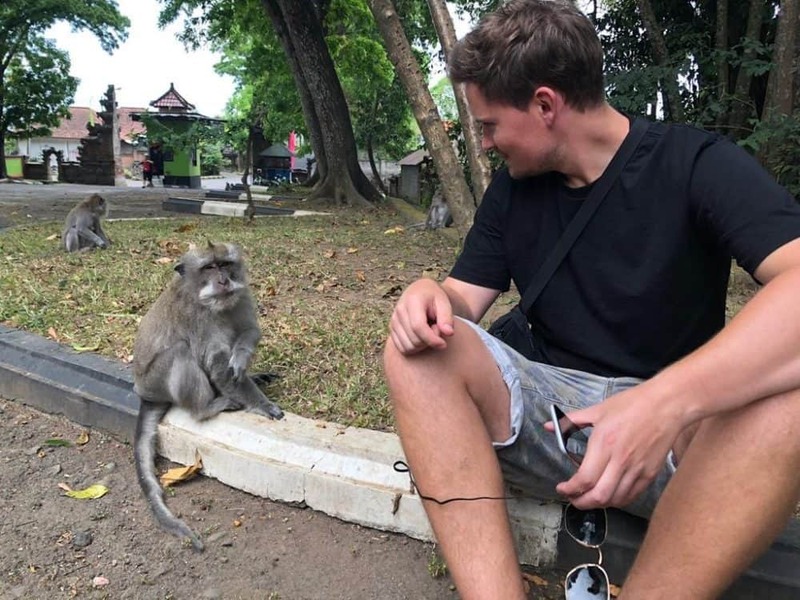 This includes funding, kit, and connections into to an extensive global network of leading organizations in sports, government, education, business and development. 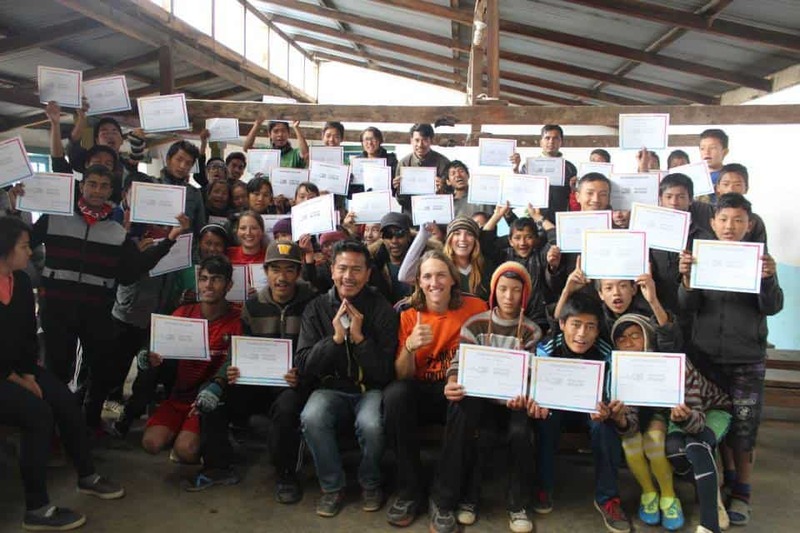 Following the year-long engagement, the Young Leaders will continue to be supported as alumni of the program, providing them with network, profile, and tangible education and employment opportunities. Jamie Tomkinson ,22, a Young Leader from Class of 2016 , used the skills learnt and networks built to increase the role he plays in his community in Edinburgh: “As a result of the support from the MJYL program and the partner organizations, I have received support to deliver sport-based youth clubs for children and young people from disadvantaged areas”. The participants for the Class of 2017 were selected by Michael and a carefully curated panel of experts in youth leadership, sport, and social change. 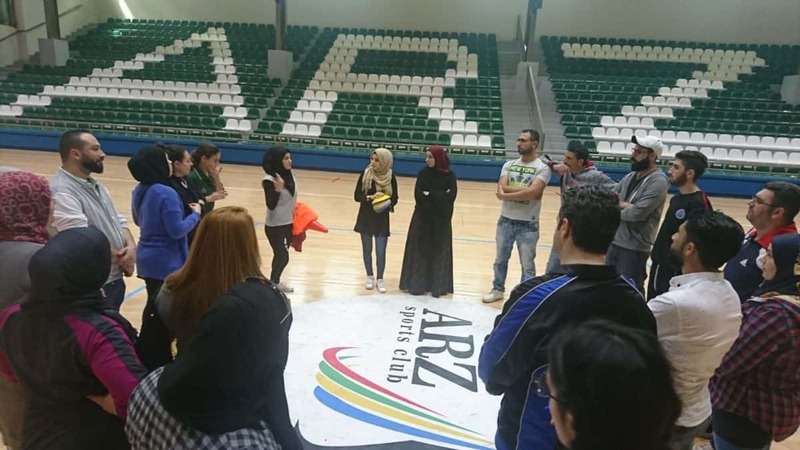 The selection process was carried out in partnership with Coaches Across Continents, the award-winning global charity that trains up local community leaders in using sport as a tool for social change.